An exciting water based activity with the ultimate in adrenaline pumping while you blast through the surf. You could also choose to explore the wonderful beaches and the beautiful scenery of the UK coastline. Looking to organise the perfect trip? 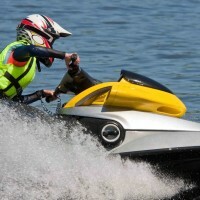 then Jet Skiing is the perfect activity for you. Jet Skiing is one of the best water based activities with the ultimate in adrenaline pumping while you blast through the surf. You will also benefit from exploring the wonderful coastline and the beautiful scenery. Wetsuit (if you have 1) if not a wetsuit will be provided. Warm clothes to change into when back on shore.